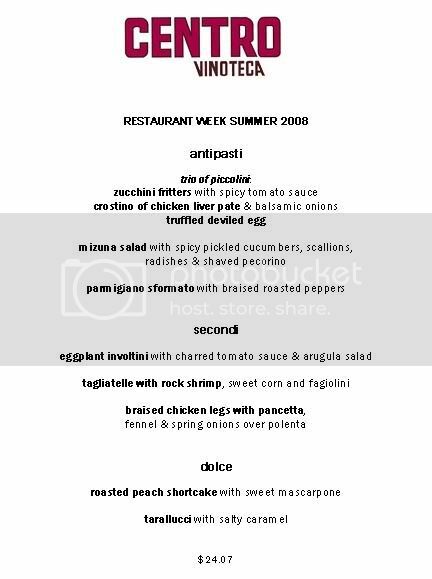 I have just received news that Centro Vinoteca and Gusto Ristorante are extending their summer restaurant week lunch menus through Labor Day. If I had known this a week ago, I wouldn’t have booked three reservations (including Centro Vinoteca) in one week. In fact, quite a few restaurants are participating in the "extended" restaurant week, some even on Saturdays. Le Cirque is offering their prix-fixe dinners (which are fully booked through Aug 1st as of now) through the end of August in the cafe. And I have heard that Jean Georges restaurants JoJo and Perry Street are participating, but haven’t confirmed yet. When I find out more participating restaurants, I will be sure to post them up. Make your reservations asap before it’s too late! For Centro Vinoteca’s Restaurant Week menu, click here. 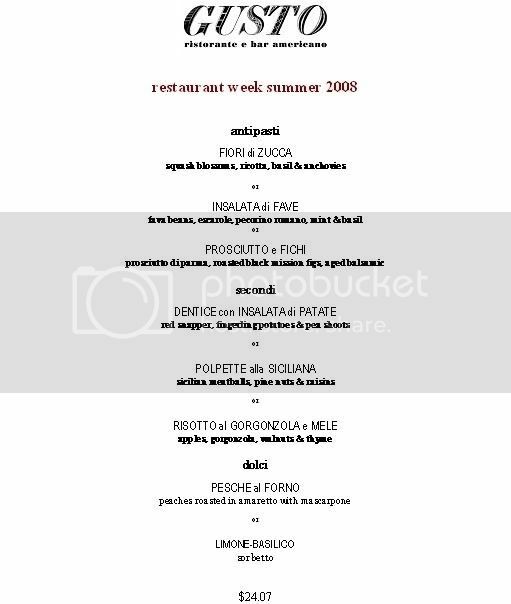 For Gusto Ristorante e Bar Americano’s menu, click here.